I’m thrilled that with the creation of this beautiful new website we now have the chance to start blogging. I hope that by sharing news, thoughts and experiences this blog will be a source of information and entertainment. I’d like to provide our families and community with a resource to engage in an interesting and honest conversation about death and burial options. As the inaugural entry here, I thought I’d better introduce myself. I am your Foxfield Preserve Steward, Sara. My work here varies from day to day. I work with families, schedule and prepare burials, give presentations, and am groundskeeper of the Preserve. 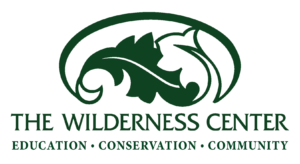 I am constantly learning something, often with the help of the wonderful naturalists at The Wilderness Center. Whether identifying birds and plants, fighting invasive species, or performing a prescribed burn, there is always something interesting to be found on the Preserve. Above all else, I find immense satisfaction in helping bring this burial alternative to our community. I know that I am often working with people at one of the worst moments of their lives. I find great fulfillment in helping them through this difficult time. I wish to help families find solace in a meaningful goodbye.